Corie Steinke provides direction for all community life and student leadership programming on campus, including residence life. Corie Steinke is a 2009 graduate from Heidelberg University with a B.A. in Religion and a 2012 graduate of Kent State University with an M.Ed. in Higher Education Administration and Student Personnel. 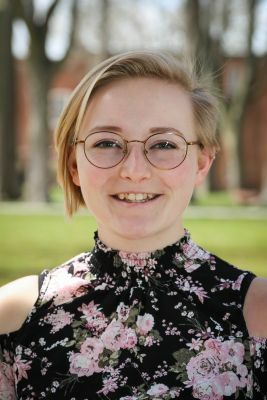 Originally from Ohio, Corie recently served as Civic Engagement Coordinator and Residence Director at Southern Vermont College in Bennington, Vermont. Corie is driven to create a dynamic, memorable, and authentic experience for Goshen students through residence life, commuter life, student activities, community engagement, and leadership development. She loves pop culture and trivia, traveling, cooking, and all things comical. Kali Miller provides live-in leadership for our underclassmen residence halls (Kratz, Miller, and Yoder). Kali is a 2015 graduate of Grace College, with a B.S. in History and Sociology and earned a Master’s Degree in Higher Education Administration (also from Grace College) in 2016. While finishing her graduate degree she worked at Pierceton Woods Academy, a residential home and alternative school for boys. 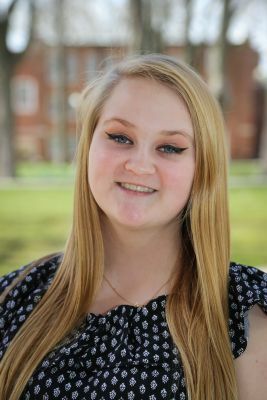 Kali enters her second year in Residence Life at Goshen College and looks forward to building community within the residence halls, allowing students to experience growth in all areas of life. Kali enjoys meeting new people, watching documentaries, kayaking, and playing Mario Kart. 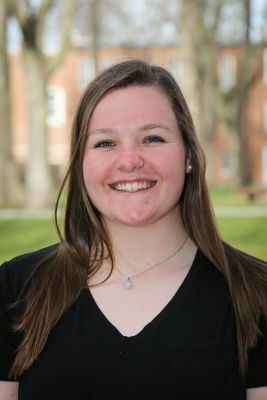 Emily Freling provides live-in administrative leadership for our upperclassmen housing spaces including: Kulp Hall, East Hall, Howell House, Kenwood House, and the Romero Apartments. Emily comes to us from Schenevus, New York and is a 2016 graduate of Southern Vermont College in Bennington, Vermont. She holds a Bachelors degree in Biological Sciences and worked as a Community Advisor and an Admissions Ambassador during her undergraduate time at SVC. 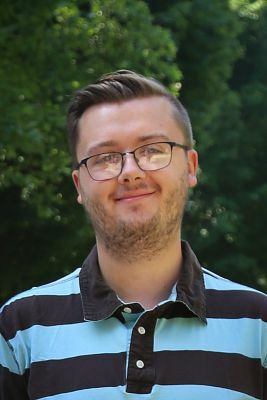 Chad came to Goshen College in 2002 and served six years as a Resident Director in Yoder Hall. He managed Small Group Housing, Kulp Hall, and Coffman Hall from 2008-2011 before becoming Director of Residence Life in August 2011. In 2018, Chad transitioned to Director of Student Life Operations, overseeing campus safety and housing operations: room assignments, housing changes, meal plans, facility upkeep, and the Standards Response Team. Chad received his undergraduate degree from Indiana University (Bloomington) and a Masters Degree from Gonzaga University. 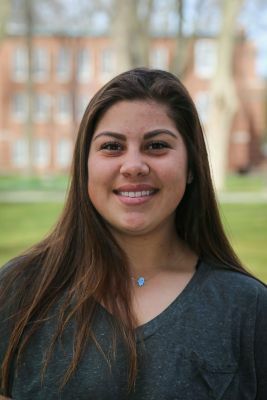 Jazmine is a Molecular Biology Biochemistry major from West Covina, California. She is currently on the softball team here at Goshen College. She loves the outdoors and just going on adventures; which is why she enjoys Goshen because of those opportunities! She is very excited for the upcoming year and what that year holds! 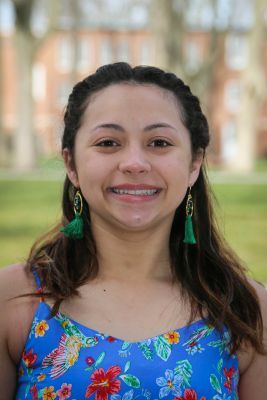 Lisa is a music major with a musical theater minor from San Juan, Puerto Rico. She is involved in music ensembles, like Chamber and Women‘s Choir and orchestra. She loves to sing, dance, make new friends, laugh, and have fun in whatever she’s involved in. Lisa is looking forward to create new connections and build a loving and lively atmosphere where people can feel welcomed. Heather is a Sustainable Food Systems major from Orange City, Iowa. She is excited for her second year at Goshen and cannot wait to be an RA! Heather loves making crafts, growing plants, and exploring the Great Outdoors. She enjoys music, art, and being with friends and family. Zack is a Broadcasting and Journalism double major from Evanston, IL. Zack enjoys sports, writing poetry, playing his saxophone, and getting to know new people. 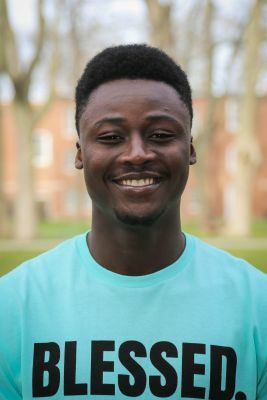 Zack is part of the globe radio and tv station, as well as participating in the Black Student Union (BSU), Intercultural Coalition of Goshen College (ICGC), and intramural sports. He is looking forward to meeting new people and building community. 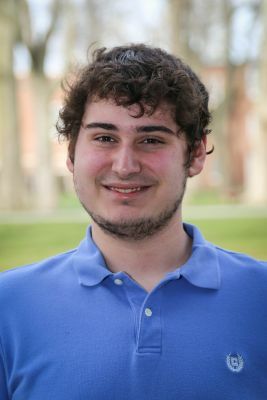 Xan is a music education major from Orrville, Ohio. He enjoys singing, playing guitar, playing tennis, running, sharing coffee with friends, and crocheting. He is involved in Men’s Chorus, intramural sports, Unity, and worship nights. Xan also plays a part of the spring musicals every year. He can’t wait to meet all of the new people on campus and share his love for coffee and conversation. 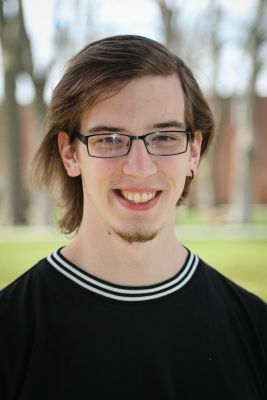 Tobias is a second year Theater major with a Musical Theater and Business minor from Goshen, Indiana. 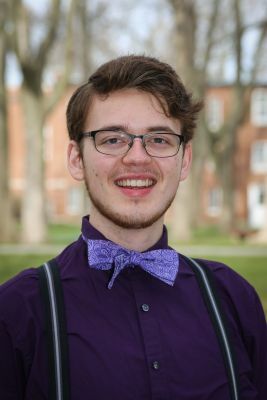 Tobias is involved with many student organizations including, Advocates, PIN (Prevention Intervention Network), Men’s Chorus, Prism, GC Players, ICGC (Intercultural Coalition of Goshen College), and many others! 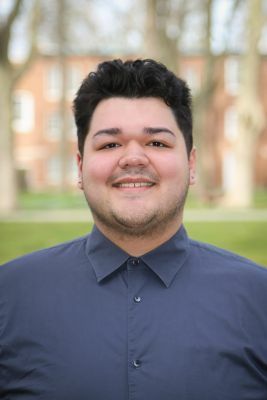 Tobias is very passionate about social justice and wants to strive to not only have his floor, but the whole campus be as inclusive as possible, he looks forward to meeting his residents for this school year! Nathan is a second-year Communication Major from Kinzers, Pennsylvania. 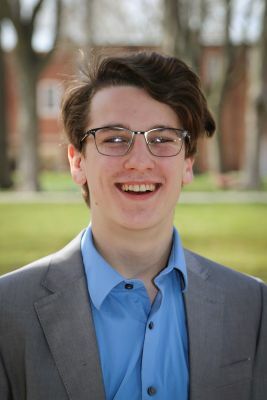 Nathan is involved in Men’s Choir, the college radio station 91.1 the Globe, and the college newspaper the Record. In his free time, Nathan enjoys playing video games, laughing with friends, watching humorous British TV shows, longboarding, and singing. Nathan is looking forward to getting to know the new people on campus through the power of hot drinks and video game tournaments. 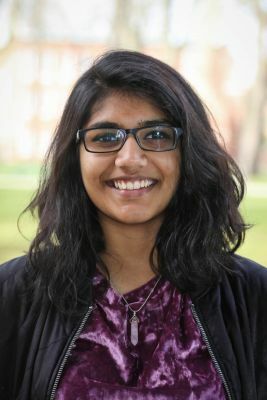 Eden George is an international student form Bangalore, India. She is a Psychology major and is a member of the Psychology club, Unity and the Women’s World Music Choir. She is also one of the leaders for the International Student Club (ISC). Eden loves reading, spending time with friends and watching Korean dramas. She is really excited to meet new people and build a supportive, loving and caring community! 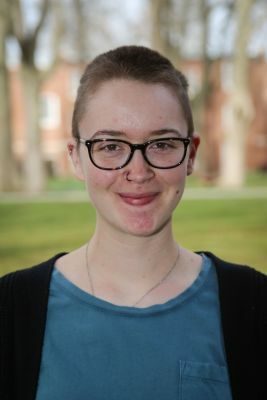 Rayna is from San, Diego California and is a first-year student at Goshen College majoring in Environmental and Marine Science. She is also part of the softball team here at Goshen and after her 4 years of college, she is deciding if she wants to join the Navy. She also enjoys being at the beach, is always up for an adventure, and is very excited about what this next year has in store for her! Tyler is a third-year chemistry student from Kalamazoo, Michigan. He is a teaching assistant for the chemistry department and enjoys the field of science. He also enjoys meeting new people and making a community on the campus. 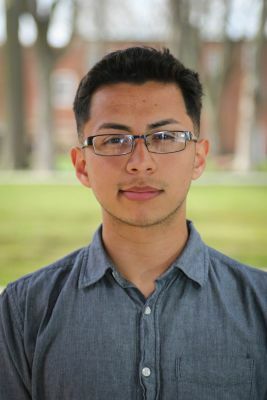 He hopes to make everyone on campus feel welcome and looks forward to the upcoming year. Irving Suarez is from Goshen, IN. He is a double major in Biology and Psychology. He is part of the Cross Country and Track team, works as an assistant to the Psychology Department, and is also involved with LEAF leadership program. He is passionate about helping people grow and creating a welcoming atmosphere for everyone. 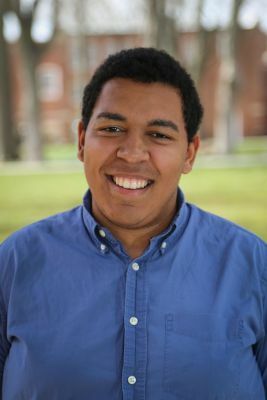 Chris is a third-year Sign Language Interpreting major with a minor in Pre-Law from Angola, Indiana. 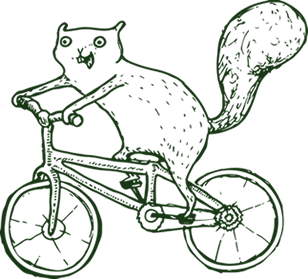 Here at Goshen College, they are involved in ASL Club, Knitting Club, and Prism. Their favorite part about campus is the welcoming and inclusive atmosphere. They enjoy making new friends and aspire to inspire those living both on and off their floor! Rianna Koteles is from Wixom, Michigan. Her plan is to major in Elementary Education Major with a minor in Special Education. At Goshen she is apart of Softball team and enjoys hanging out with friends on her free time. Rianna is looking forward to plan different events for her floor and meeting new people. Lexus is a third-year Biology major from Clintonville, Wisconsin. 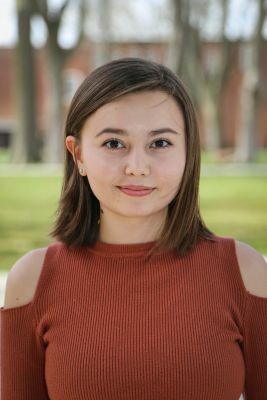 She has a love for travel and has traveled to Japan as a student Ambassador with the People to People program, as well as to China for her SST experience. She likes spending time outside, watching movies, reading, being around animals, and spending time with family and friends. Lexus hopes to build a welcoming, positive, and inclusive community on Kulp 2. Morgan is a senior Biochemistry major from Goshen, Indiana. He has a newfound love for outside ventures but is also okay hanging out with friends and spending time alone. He is looking forward to seeing the culture of his floor and the new culture of the campus overall. Micah is a Business major from Millersburg, Ohio. He enjoys traveling around the country and world to places where he hasn’t been before. Also among his hobbies are sports, music, creating new connections, drinking coffee, and appreciating nature whenever possible. 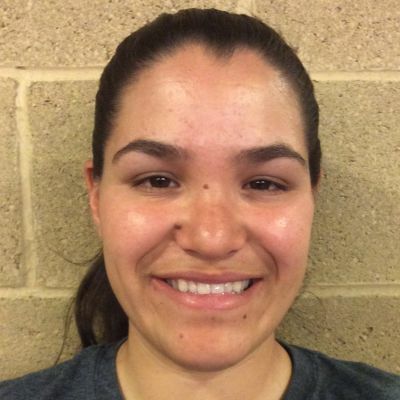 Sandra is an Exercise Science major from Palmdale, California. 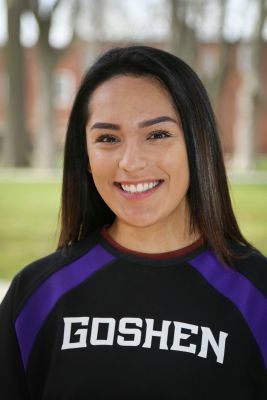 She is also apart of the Goshen College Softball team. She is an adventurous person and enjoys spending time with friends. She is eager to see what the new year brings and is excited to help develop the community in the student apartments. Brandy is a third-year Sign Language Interpreting major with a Pre-Law minor from Angola, Indiana. She is involved in the ASL Club and Knitting Club (she only knows how to crochet though) at Goshen College. Brandy strives to give everyone the opportunity to have a positive, welcoming community in the Apartments. Alhassan is a business major from Antwerp, Belgium. Alhassan is part of the basketball team, Black Student Union, and is an ambassador on campus. Alhassan likes traveling and hanging out with his friends, family and is looking forward to changing the apartment culture.